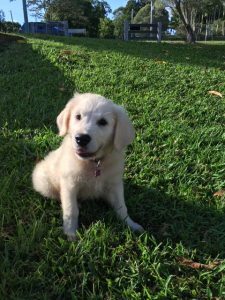 Smart Pups Career Dogs breeding program aims to produce healthy, intelligent and trainable puppies specifically bred for the purpose of having a career as a working assistance dog. 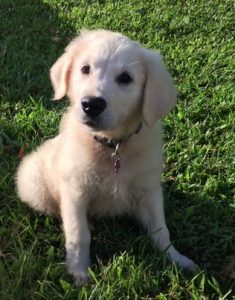 A limited number of these purpose bred puppies are available to select homes for clients wishing to train their own assistance dog or wanting to train a suitable pup to be an in home therapy dog, or professional support dog. Selecting the correct pup for a working career and the right fit into a specific lifestyle is imperative and here at Smart Pups Career Dogs we have the expertise and history of the breeding program to help make the right matches. 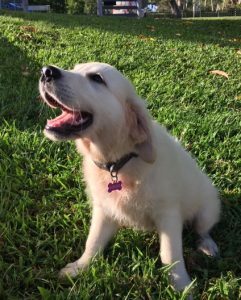 Smart Pups Career Dogs specialises in Labrador Retrievers, Golden Retrievers and a purpose bred cross using both these lovely breeds. Our genetically sound and proven breeding dogs are a sound foundation for producing high quality Smart Pup assistance dogs. Our breeding stock are carefully chosen for their temperament and intelligence and then only approved for breeding stock once they have passed a health assessment including a full DNA test of all known heredity problems and also hip and elbow xraying. These specifically selected breeding dogs will produce puppies that are sound, healthy and will have inherited the desirable qualities and characteristics from their parents. Fill in our application form to be included on our waiting list for one of these pups. Smart Pups have a 12 week old male pup for sale as a pet only, not for breeding or showing. Our girl gave us a large litter and we are only able to keep a manageable number for our Assistance Dog program. Both parents have good hip/elbow results and are both working Assistance Dogs. Our pups are bred for trainability, temperament and soundness. He has already had 2 vaccinations and wormed regularly and has been involved in our early socialisation program. Fill in the below application form if you are interested in purchasing this puppy.